The Canadian Real Estate Association (CREA) has upwardly revised its forecast for annual housing sales in 2014 and 2015, projecting 481,300 units in 2014 – an annual increase of 5.1 per cent and the strongest annual sales since 2007. The majority of this upward revision stems from the strength and momentum of sales across most of B.C. and Ontario, particularly the Greater Golden Horseshoe region. In British Columbia, historically low mortgage interest rates have helped fuel a broadly-based increase in the number of homes changing hands this year, although activity has only recently risen above its 10-year average. In Ontario, strong demand has been met with a rise in listings, which in recent years had been in shorter supply. The CREA said the recent momentum for sales in both cases has endured for longer than expected and has shown few signs of diminishing. These two provinces together account for more than half of national activity and are responsible for much of the upward revision to projected and forecast national sales. British Columbia is projected to post the largest annual increase in activity (14.5 per cent) followed closely by Alberta (9.3 per cent). Annual activity in Ontario is also expected to come in 3.6 per cent above 2013 levels. Sales in Saskatchewan (+1.8 per cent), Manitoba (+0.8 per cent), Quebec (-0.1 per cent), New Brunswick (-0.8 per cent) and Prince Edward Island (no change) are expected to hold near 2013 levels. Activity in Nova Scotia and in Newfoundland and Labrador is projected to decline this year by 3.9 per cent and 4.7 per cent respectively. National activity is now forecast to reach 485,200 units in 2015, representing a year-over-year increase of 0.8 per cent. 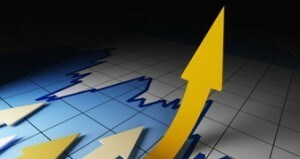 Sales activity is forecast to grow fastest in Nova Scotia (+2.6 per cent), followed by New Brunswick (+2.9 per cent). Quebec (+1.2 per cent), Ontario (1.1 per cent), British Columbia (0.5 per cent) and Alberta (0.1 per cent) are forecast to see little change on an annual basis, reflecting a rising trend in 2014 mirrored by a softening trend in 2015. The CREA also projects that the national average home price will rise by six per cent to $405,500 in 2014, with similar percentage price gains in B.C., Alberta and Ontario. In 2015, the national average price is forecast to edge higher, by 0.9 per cent, to $409,300.